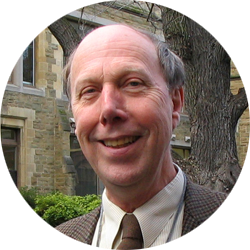 Emeritus Professor Frank Sear is a graduate of Cambridge University, where he did both his undergraduate and postgraduate work. As a Scholar at the British School at Rome he did research on Roman Wall and Vault Mosaics and as a Cotton Fellow, he excavated in Benghazi and Leptis Magna, Libya. In 1975 he took up a lecturing position at the University of Adelaide where he taught Classical Archaeology as well as Latin and Greek. He has since been a visiting scholar at the German Archaeological Institute in Berlin, a Fellow of Corpus Christi College, Oxford, and Hugh Last Fellow at the British School at Rome. He is also a Fellow of the Society of Antiquaries of London and a Fellow of the Australian Academy of the Humanities. In 1991 he took up the position of Professor of Classical Studies at the University of Melbourne. He was co-Director of the Australian Pompeii Project from 1978 to 1988, and since 1990 has directed the Australian Roman Theatres project, which involved surveying the theatres at Gubbio, Taormina, Benevento and Pompeii in Italy, Jerash in Jordan, and Orange in France. He has written numerous articles on his archaeological work and published a number of books including Roman Wall and Vault Mosaics, Roman Architecture, and Roman Theatres. He has led numerous archaeological tours in Italy, Croatia, Greece, Turkey, the Middle East, Egypt, North Africa, Spain and France.